You might have heard a lot about the news of passive component shortage in recent months, especially MLCC. But what are these electronic components used for? 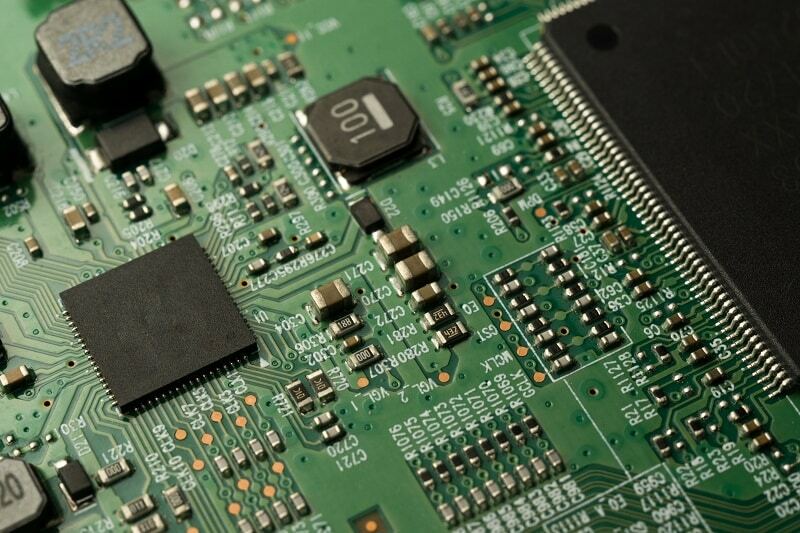 Electronic components can be categorized into active and passive. The difference between active components and passive components is whether it needs to be triggered by power supply. 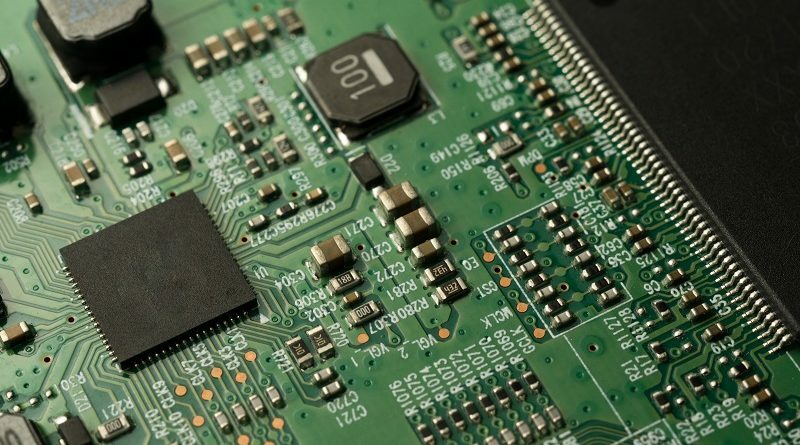 The semiconductor components discussed widely, such as transistors and diodes, are active components, while resistors, capacitors, and inductors are passive components, usually seen as supporting roles on the main boards. Besides professionals, few people would be interested in knowing what passive component is. However, the development and technology of passive components still influences the electronics industry. There are 3 main types of passive components: resistors, inductors, and capacitors. Resistors are mainly used to adjust electric current and voltage. Inductors are used to filter noises, suppress electromagnetic interference, and steady current. Capacitors are the main components on the board to store energy for coupling. Among the 3 types of passive components, the market size of capacitors is the largest, including ceramic capacitors, aluminum capacitors, and tantalum capacitors. The most popular one is MLCC (Multi-layer Ceramic Capacitor), aka chip capacitors. The capacitance of a capacitor is proportional to the surface area of the plates and the layers of thin film. Also, the part number is usually named after packaging size. However, with the improved technology of ceramic film stack, small size capacitors do not stand for small capacitance. MLCC has gradually replaced electrolytic capacitors and tantalum capacitors, but these 2 types of capacitors still possess the market share and have their respective strengths. 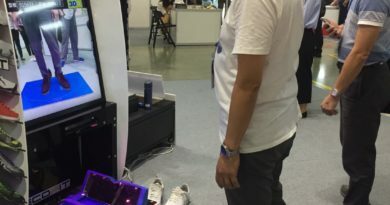 With the popularity of high-end consumer electronics products, such as personal computer and smart phone, the demand of MLCC increased significantly. MLCC is getting popular because it can be operated with high voltage, high temperature, and result in low loss in high frequencies. Besides, MLCC is suitable for mass production because the size can be smaller by being waferized and the low price and high stability. The capacitance of aluminum is high but waferization is lower than MLCC. In addition, the performance would be affected by the environment. Tantalum capacitors also have the advantages, like DC bias, low leakage, etc. 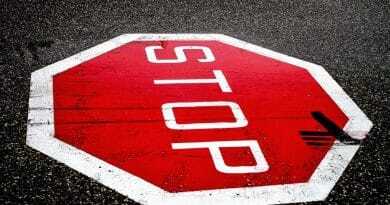 However, tantalum capacitors would cause more pollution problems, and the price is higher. Why the Shortage of MLCC Happened? The shortage of MLCC could be resulted from 3 reasons: Japanese suppliers converting capacity, demand and supply structure changed, and demand increased. Since the 2nd half of 2016, Japanese main suppliers, Murata, Taiyo Yuden, gradually converted their capacity for general-type MLCCs to high-end MLCCs due to the demand from automotive, industry, and iPhone. That is to say, these Japanese suppliers are withdrawing from the general-type MLCC market. It is said that Japanese suppliers and some Taiwanese suppliers have been concentrating on niche-type MLCC products to offer the applications in automotive, industry, and high-end smart phone, which can bring higher average selling price (ASP) and profit. However, the major impact would be that it’s challenging for all MLCC suppliers to extend their equipment due to the lead time for MLCC equipment becoming 8 – 12 months. The increasing demand of MLCC also leads to the shortage. The demand from major smart phone suppliers, including Apple, Samsung, and even the Chinese suppliers, like Huawei, Vivo, and Oppo, exceeds the supply. In addition, automotive industry requires large numbers of passive components, especially the popularity of electronics cars and self-driving cars. A car used to require 2000 pieces of passive components, whereas an electronics car may need thousands of pieces. Some MLCC firms have set to raise their prices by 40-50% with the new prices from Apr 2018. In addition, since demand of MLCC have exceeded supply, it’s reported in PR News Wire that the lead time might have been stretched out to 20-week. Meanwhile, MLCC providers give priority to their EMS and ODM clients, and the limited MLCC availability makes second-tier device makers and smaller-scale clients to buy MLCCs from other channels, like distributors and online stores. 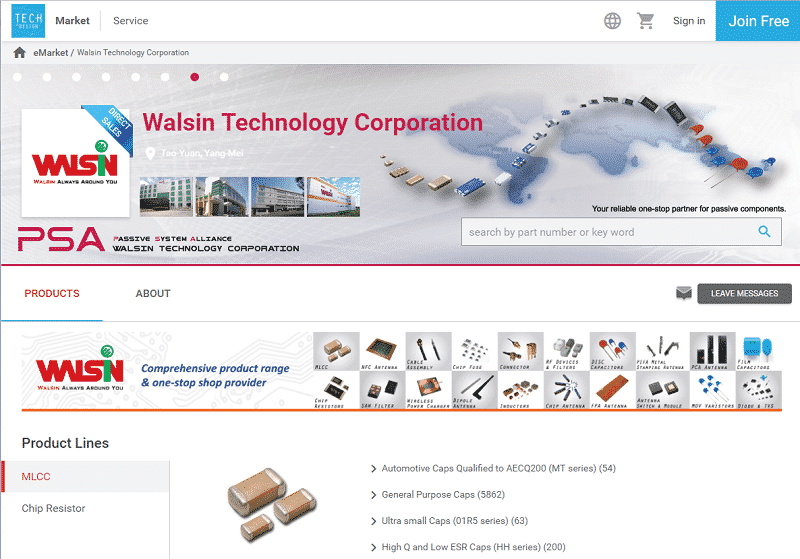 On TechDesign e-market, there are 2 suppliers, Walsin and PDC, providing MLCCs and Chip Resistors. The 2 passive component suppliers run their direct e-stores to provide the small-scale clients a new option to purchase the components. 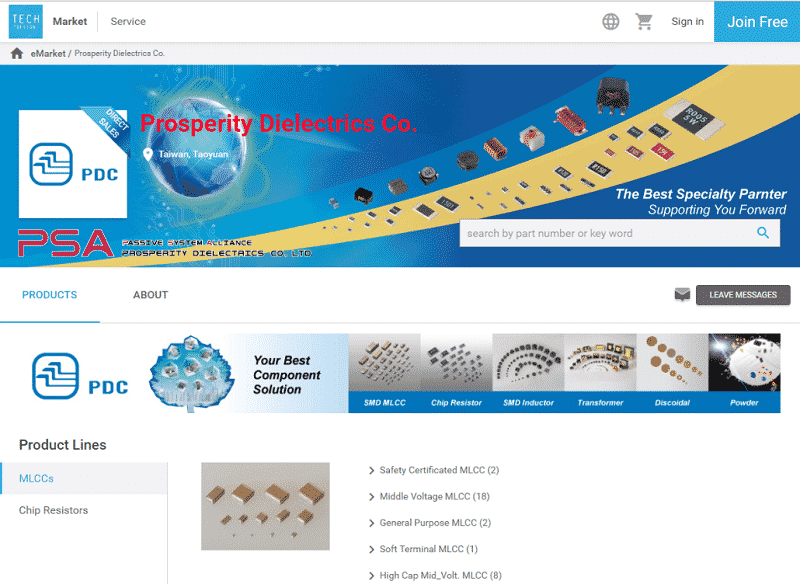 Prosperity Dielectrics Co., Ltd. (PDC) was founded in 1990 as the first local manufacturer and exporter of ceramic dielectric powders and multilayer ceramic chip capacitors in Taiwan. PDC allied with PSA Group in September 2005, and officially merged with Frontier in 2008. The range of our products expanded widely, comprising Ceramic Dielectric Powders, Disc Type Semi-conductive Capacitor Elements, Multilayer Ceramic Chip Capacitors, Chip Resistors, Diodes, and Coils.